Quiet Ride and Smooth Performance Throughtout Tread Life "Silent Wall" grooving ahs perpendicular serrations reducing pipe resonance, thereby lowering noise. 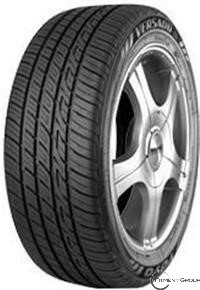 Multi-Wave sipes reduce pattern wear, thereby reducing noise throughout the long life of the tread. All-Season and Snow Performance OUTSIDE Larger contact patch to increase lateral stiffness INSIDE Higher sipe density to obtain the "Edge Effect" biting the snow for more traction.